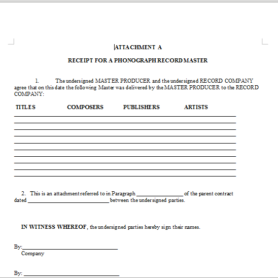 Description: This is an agreement that is entered into between the owner of a copyrighted musical work and an agent for advertising and marketing. 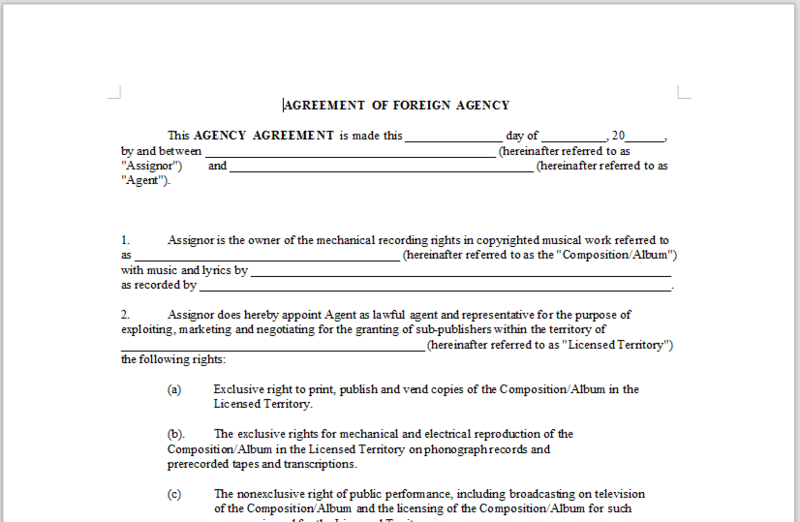 The agent will be paid on a commission basis using a percentage of the gross receipts of the musical work. The gross receipts include any revenue derived from newspapers, foreign sales, compact discs, and television broadcasts as a direct result of the agent’s efforts. 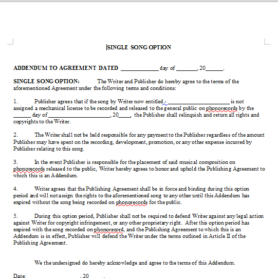 This agreement is ideal for owners of copyrighted musical works and agents for the purposes of advertising and marketing the musical work globally.